It’s so simple to schedule your free trial guitar lesson. Contact me now to book yours! 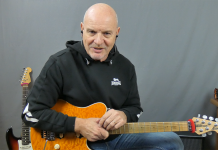 I can normally arrange for a free trial guitar lesson within 2 days of you contacting me. All you need is a webcam and a microphone, usually these items are already built into your PC/Laptop. A Skype account which is free to setup and only takes a few minutes. Last but not least a guitar. We will discuss how to setup your gear for a lessons when we talk online. – Schedule lessons at your convenience, between 8.00 am and 8.00 pm GMT, 7 days a week. Take Skype Guitar Lessons from the comfort of your home! Learn to play the guitar from the comfort of your own home. No more sitting in traffic trying to get from A to B. Now you can spend that wasted time playing and practicing. Flexible scheduling also means you won’t have to miss your weekly lesson due to unforeseen circumstances. I’ve been teaching Skype guitar lessons for 5 years now. 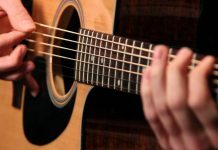 I have guitar students taking lessons in the USA, UK, UAE, Spain, Ireland, Germany, France, Bahrain, Panama, Australia, China, Canada and many other locations. 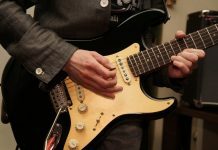 As well as teaching Skype Guitar Lessons, I also find time to post articles for Ultimate-Guitar.com and create online guitar courses for Udemy. I’m also an Educator for the TrueFire.com running my own personal channel called the Rock and Blues Chronicles. In this lessons we look at how to play the Intro section of Lines On My Face by Peter Frampton. 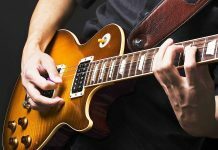 Skype Guitar Lessons Online A website developed by a guitar player for Guitar Players. Lessons, News, Gear Information posted every week. Welcome to Skype Guitar Lesson Online website. 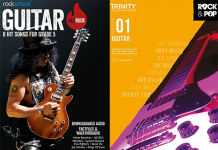 Here you will find hundreds of Free guitar lessons for all levels and tastes in music. I also offer one on one guitar lesson online. Your first lesson is free so why not schedule your free lesson today by clicking on the link.